New Delhi, April 16: Campaigning ended Tuesday for the second phase of Lok Sabha polls on April 18 for 95 seats spread across 11 states and the union territory of Puducherry that was marked by acrimony with the Election Commission barring several leaders from electioneering for their controversial remarks. Polling will be held in 38 seats in Tamil Nadu, 14 seats in Karnataka, 10 in Maharashtra, eight in Uttar Pradesh, five each in Assam, Bihar and Odisha, three each in Chhattisgarh and West Bengal, two in Jammu and Kashmir and one seat each in Manipur and Puducherry. Elections will also be held in 35 assembly constituencies in Odisha. Election was scheduled to be held in one seat in Tripura but the Election Commission in a late night order postponed polling till April 23 citing law and order situation. Prime Minister Narendra Modi, BJP chief Amit Shah, Congress president Rahul Gandhi and a host of Union ministers among others canvassed for their party candidates in the past few days, undertaking whirlwind tours of constituencies. Yogi Adityanath, Mayawati Banned From Campaigning by Election Commission For Violating MCC. In Tamil Nadu, the AIADMK, contesting as part of the NDA. The alliance comprises among others BJP, PMK, DMDK and Tamil Maanila Congress of former union minister G K Vasan. The DMK has formed a "Secular Progressive Alliance" comprising the Congress and Left parties, among others. The electoral battle in the state is largely among the two fronts led by the Dravidian majors and the AMMK led by TTV Dhinakaran, an AIADMK rival, though parties such as the fledgling Makkal Needhi Maiam of actor-politician Kamal Hassan are also testing their fortunes. Lok Sabha elections in Tamil Nadu are the first ever after the demise of Dravidian stalwarts J Jayalalithaa of AIADMK and M Karunanidhi of the DMK. Allegations of use of money flew thick and fast in the run up to the polls with poll authorities seizing over Rs 127 crore cash and gold and other precious metals with a total value of Rs 284 crore in various parts of the state. The EC in an order Tuesday evening cancelled the poll in Vellore Lok Sabha constituency over allegations of excess use of money power. Authorities had seized over Rs 10 crore cash from a premises of an associate of a DMK leader recently. The district police had filed a complaint against DMK candidate Kathir Anand as well as two party functionaries on the basis of a report from the Income Tax department on April 10. It was a relatively low key campaign in Srinagar with only Farooq Abdullah, who is seeking a fourth term in the lower house of Parliament from the seat, making his presence felt as a candidate. Abdullah is pitched against political greenhorns Aga Moshin of the PDP, Irfan Ansari of the People's Conference and Khalid Jehangir of the BJP. An election official said there were only 46 rallies in Srinagar district, a city of over 12 lakh residents, during the campaign period. 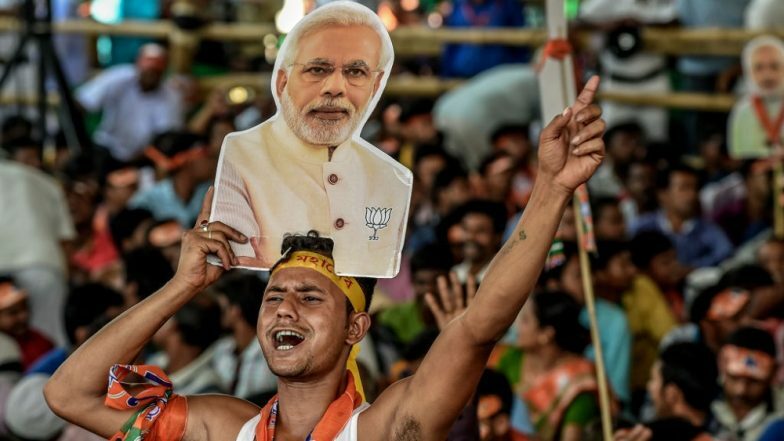 The Lok Sabha polls are being held in seven-phases for 543 seats on April 11, April 18, April 23, April 29, May 6, May 12 and May 19, and counting will be on May 23.